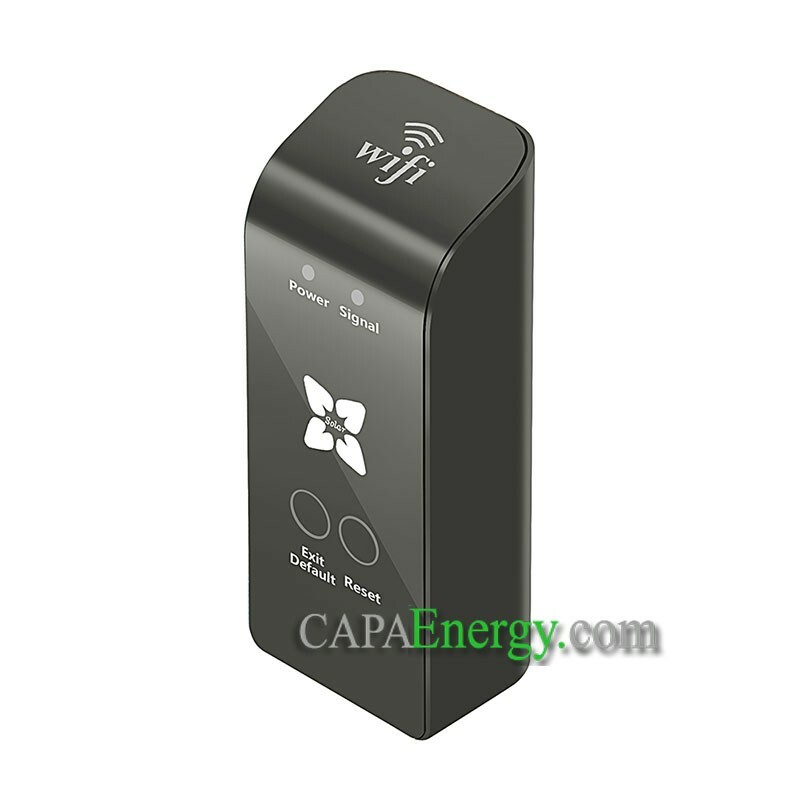 hotspots, but itself does not accept wireless access. If the “signal“ light will continue to shine for 10 seconds, then flashing, it means working in AP mode. If the “signal” light flashing immediately, it means working in STA mode. 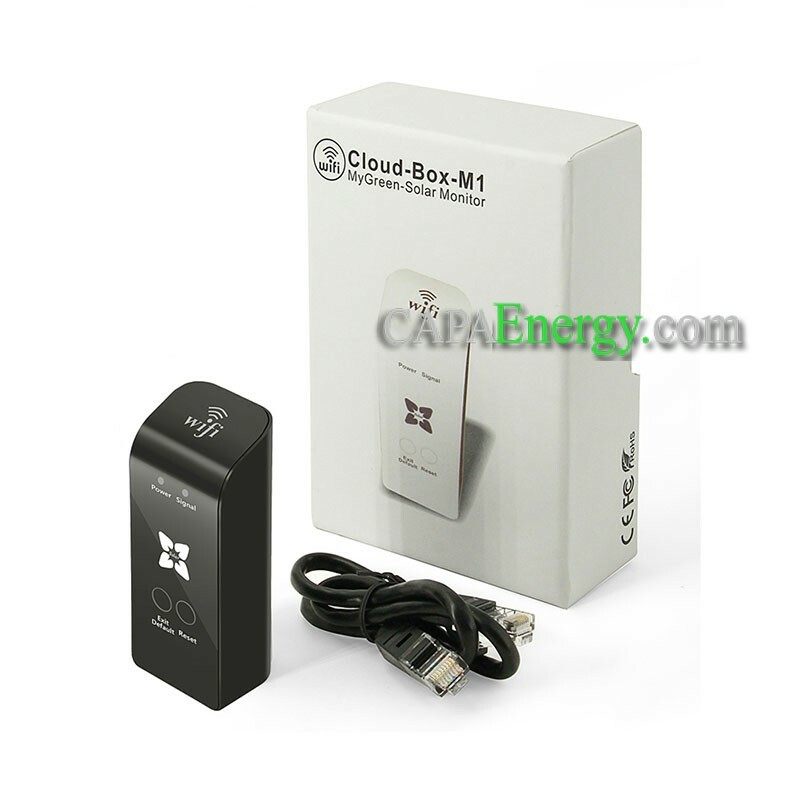 1.Ensure Cloud-Box-M1 under AP mode. 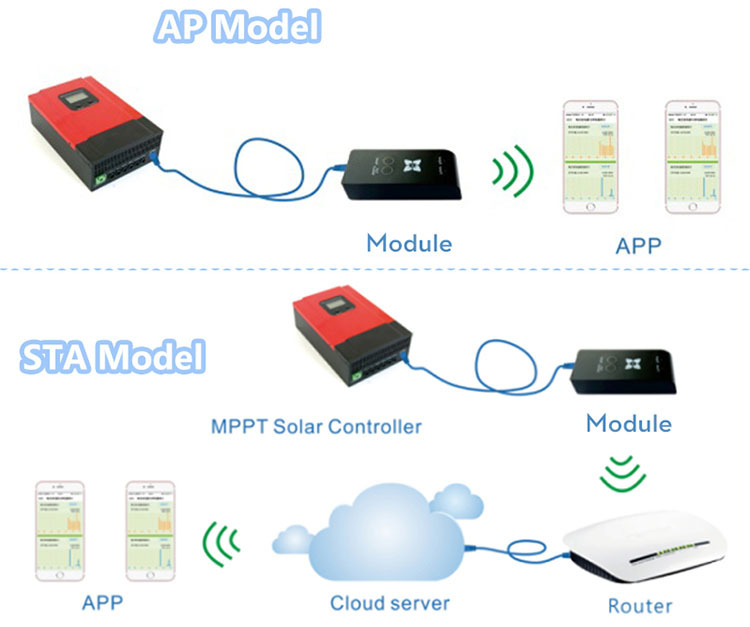 2.Search WIFI hotspot--”MyGreen-Solar-XXXX”in mobile, with the password “88888888” to connect the hotspot. 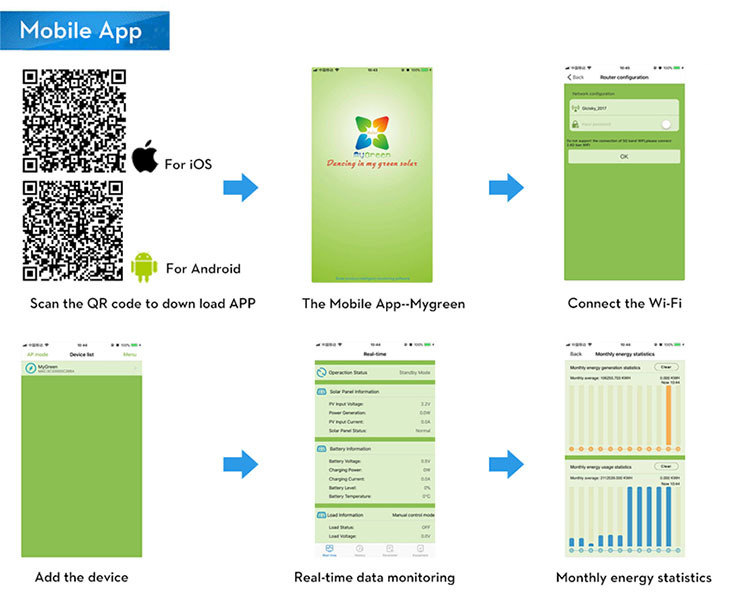 3.Open APP in Mobile or Pad and come to home page, click on the "AP mode" in the upper- left to enter the monitoring center. 3.Make sure the Cloud-Box-M1 in the signal range of router. 4.Once Cloud-Box-M1 configured, with hotspot click on the "LAN search" to search device; under4G(or cellular) or connected to hotspot, click on the “Qr code scanning” scan Qr code of Cloud-Box-M1 to search device. 5.For the first configuring, open APP in Mobile or Pad and come to home page, click on the “Menu” in the top right, then click on the “Add Device” to input password. 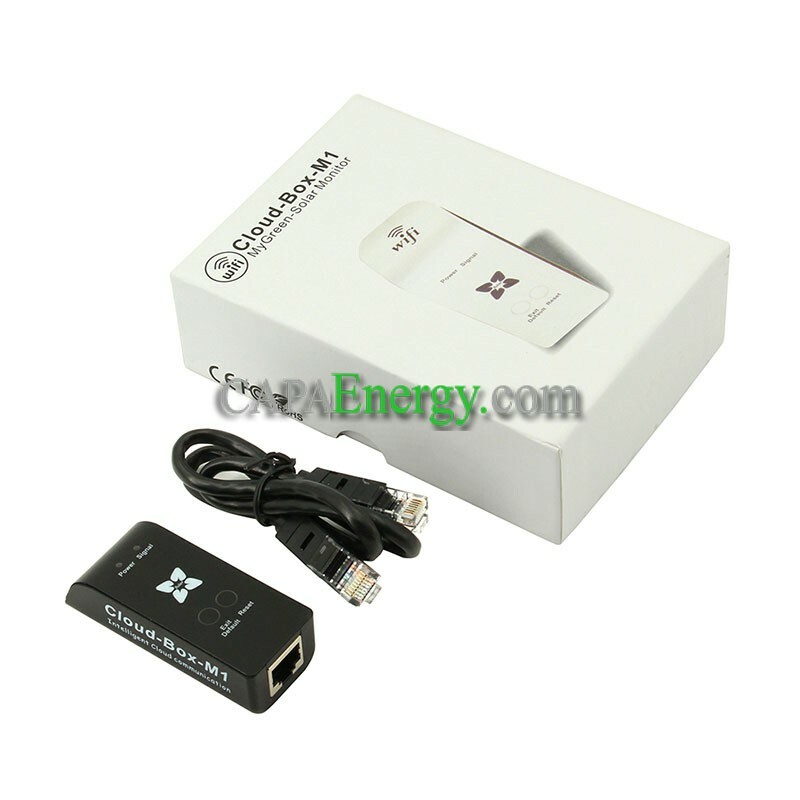 After pressing “OK” to confirm, go ahead to search all the “Cloud-Box-M1” device in the signal range of router. Once matched, click on the “Back” in the upper-left come back to home page, choose the right one from the list to enter the monitoring center.